Two-wheeler insurance provides cover for the loss of the vehicle or damage caused to the vehicle due to various reasons. These policies come under two categories, namely, comprehensive cover and third party liability cover. 1. Vehicle is partially or fully damaged due to an accident or due to fire, lightening, flood or earthquake. 2.Vehicle is partially or fully damaged due malicious acts of arson or vandalism by strangers or it is lost due to theft or burglary. If the two-wheeler policy coversonly third party liability, then the insurer will be liable to pay only the cost of damages caused to the property of the third party or pay for the treatment of injury caused to the life and limb of the third party. Two-wheeler insurance policies also offer add-on covers such as covers for spare parts and accessories, accident cover for pillion riders, etc. at an extra cost. 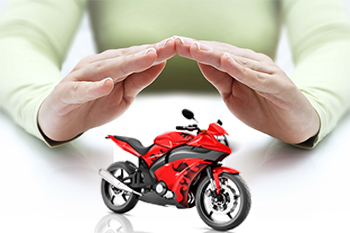 The premium amount for the policy is calculated based on the age, IDV, cubic capacity and registration zone of the vehicle.Two-wheeler insurance policies are hassle-free and can be bought online.